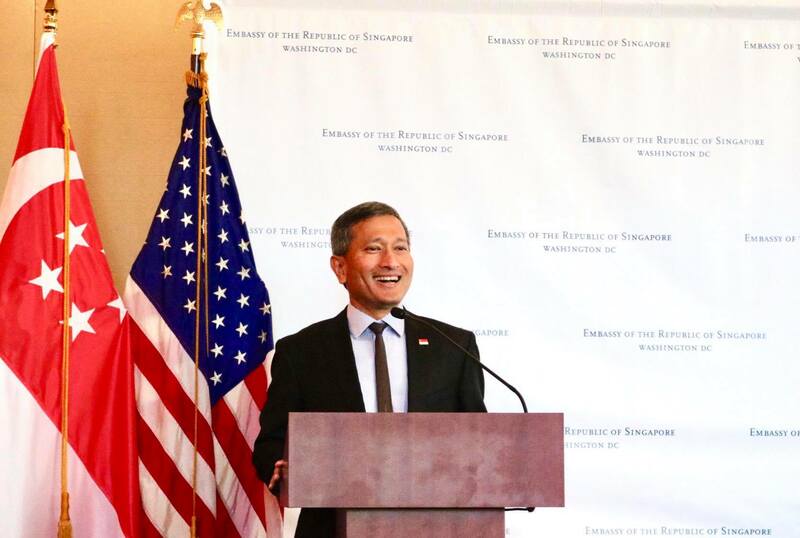 Foreign Minister Dr Balakrishnan "most worried about a trade war"
In an interview with Bloomberg Television, Singapore’s Foreign Minister Vivian Balakrishnan said that he was "most worried about a trade war." “We need cool heads to prevail, we need to stop blaming trade. We need to work together. We need to create a zone of interdependence, mutual investment, and then reap the fruits of this technological and digital revolution,” he said. Dr Balakrishnan also urged nations to stop trying to protect obsolete jobs, as Singapore cited trade protectionism as one of the key risks to the country's economic outlook, said a Bloomberg report. With exports more than twice the size of its gross domestic product, Singapore is one of the world’s most trade-reliant economies. Singapore's foreign policy stance has always been neutral towards the growing US-China rivalry. This long-held policy has been tested over the past 12 months by Beijing’s increased economic might and US President Donald Trump’s uncertain Asia policy, Bloomberg said in its report.